A lady at church gave me this recipe when I got married, and I’m sure I’ve made it well over 100 times. I like to serve Taco Soup with toppings like cheese, sour cream, avocado, cilantro, lime and Fritos. In a large pot, heat olive oil over medium heat. Add onions and cook until translucent (about 4-5 minutes). Add ground beef and cook until browned. Sprinkle with taco seasoning and stir to combine. Add the beans, tomatoes, Rotel, green chilies, corn, and beef stock. Stir and simmer, uncovered, for 20 minutes. 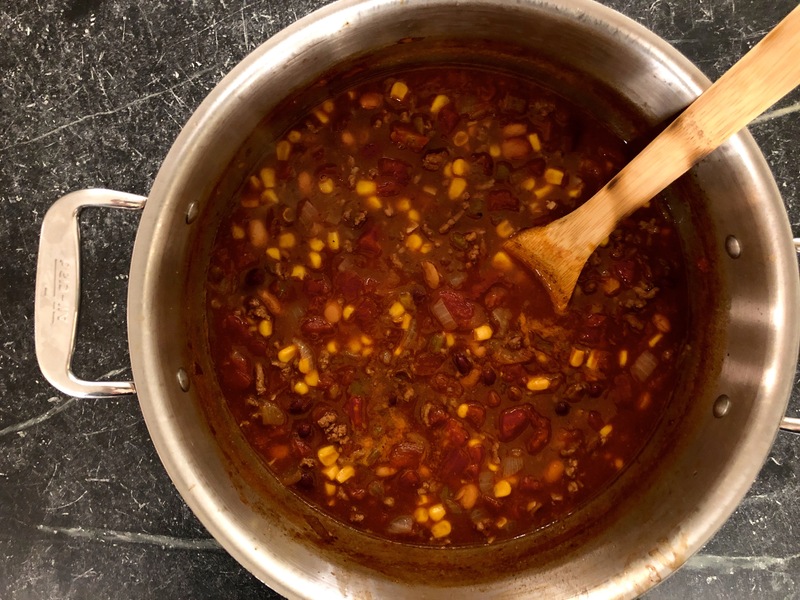 Copyright © 2018 Our Everyday Dinners - This is an easy recipe for how to make Taco Soup.